what is propolis and where does it come from? Ah, the joys of Propolis. Many of us use it, know and love it…but what the heck is it? What does it look like? And how does it go from raw resin to tincture? Well, most importantly it comes from honeybees. Not “bees”, HONEYbees. Apis mellifera, that is, and I say that because not all insects that we call bees are related. The Genus Apis does not include wasps or Yellowjackets. The workerbees fly about to trees such as Pines, Cottonwoods and Aspens in the Spring(usually) to collect resin. 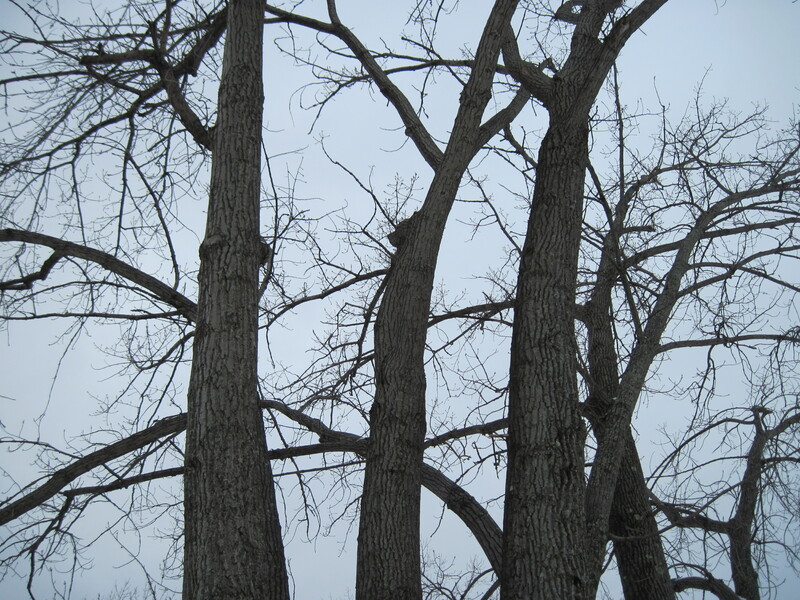 Resin is produced by the trees and it is on leaf buds or-with conifers-around the tree’s wounds, fallen branches, etc. Let me just take a moment here to point out that the plants and trees which produce resins are great and useful in their own way too! We use these resins in many ways in herbalism: as a counterirritant, a drawing agent, relieving pain or protection for example. And the honeybees themselves are really rather special creatures. I believe we should love and encourage both by giving them space to thrive whether we wish to use their products or not. Okay, so the workers bees collect the resins and chomp it up a bit and bring it back to the hive. 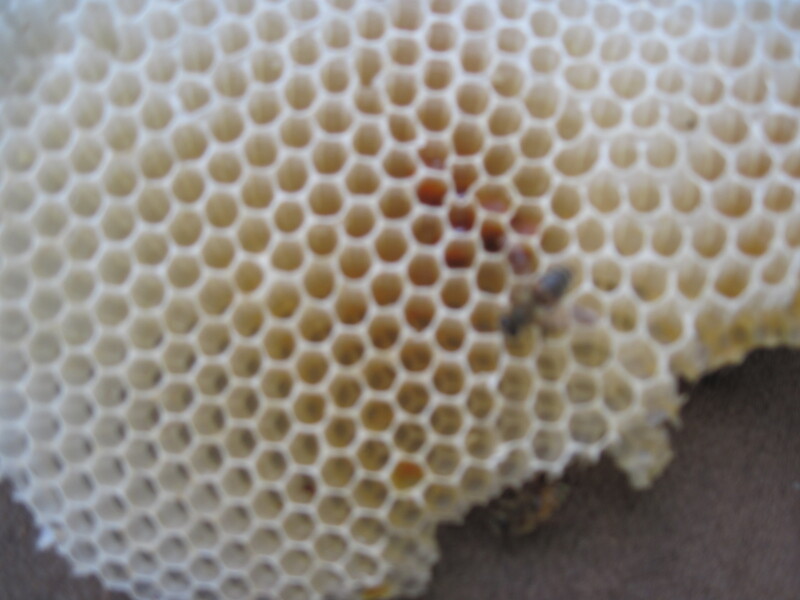 The resin is used quite literally in the building of the hive-or more specifially the making of the” box” into a “home”. A little double-duty home decor. The sticky stuff is used to seal up cracks-my dear friend Sam the beekeeper calls it “bee caulk”. On a warm day the smell is intoxicating, balsamic. 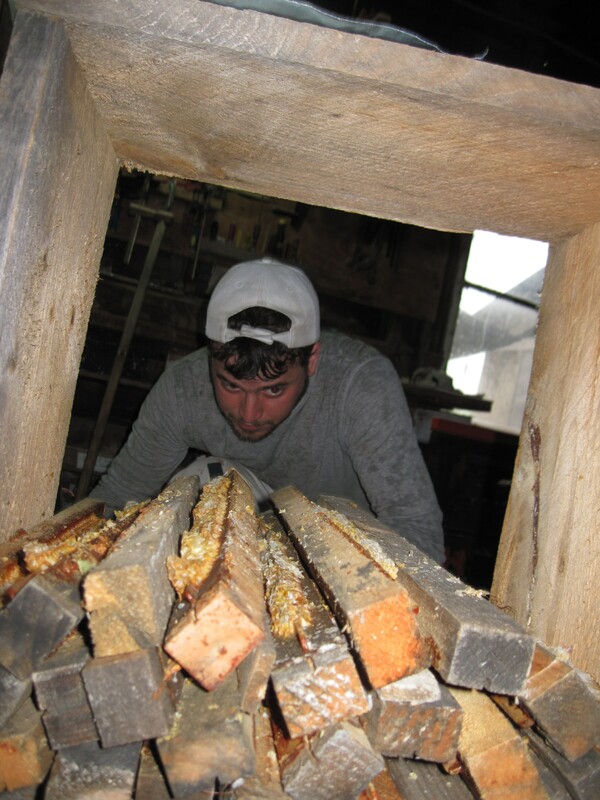 Sam Comfort of Anarchy Apiaries is my source of propolis and honeybees. He is an amazing beekeeper but more importantly an advocate for bees and for treatment free beekeeping….and a treatment free life. How do we get propolis? 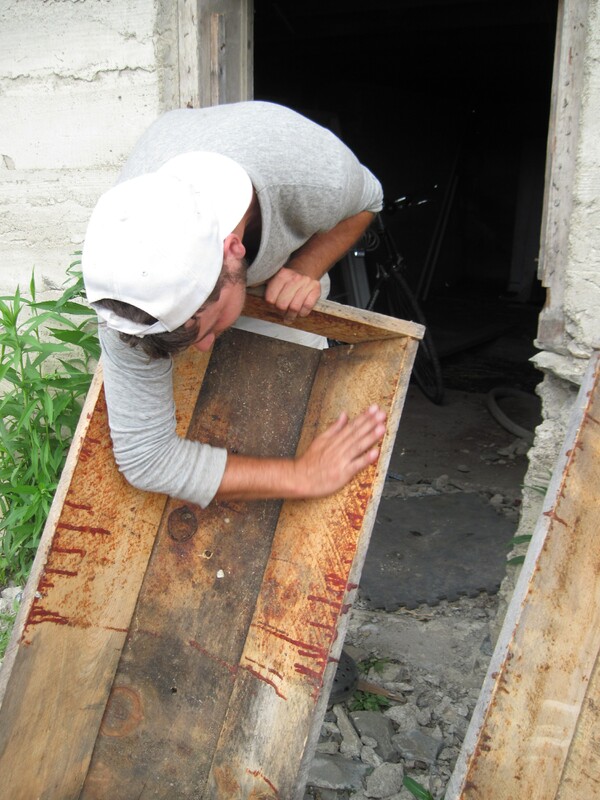 We scrape it off the boxes. 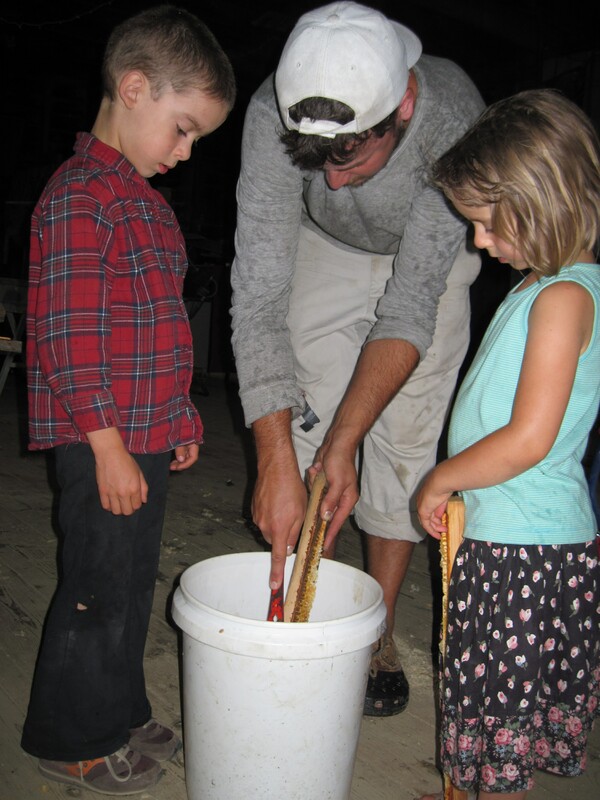 Or top bars.When bees are done with a box or their top bars for whatever reason or after collecting honeycomb you can harvest the propolis by scraping it off with a sharp knife or paint scraper. Carefully, please! It is best done with a friend or an audio book as the task can be tedious. The resinous smell fills the barn and you very slowly increase your pile. …precious stuff. 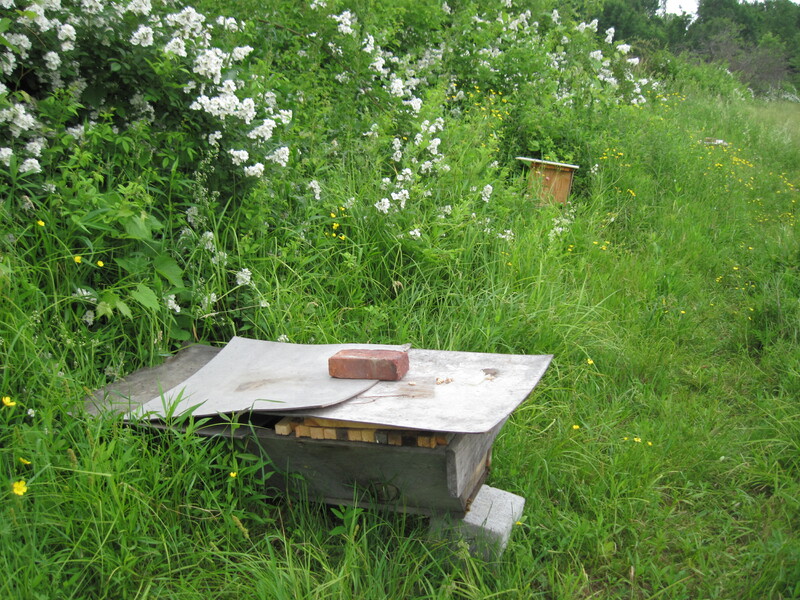 It is very important not to harvest propolis from painted surfaces, treated beehives or pesticide-riddled hellholes as that stuff gets in the propolis. (and honey too!) Pesticides are the exact opposite of a healing substance. lydia is a great scraper! Once you have it scraped and in your bucket you must decide what do with it. I like to make tincture with most and save a little raw for toothaches and such. One must use a strong, high proof alcohol to get a good rate of tincuredness, and the wax won’t dissolve so you strain that out. It doesn’t take long-I only let it sit 3 weeks, half as long as I generally let my other tinctures sit. I like to make it strong–I have noticed much of what is available commercially is a bit diluted. It should taste and smell good and strong and resinous. 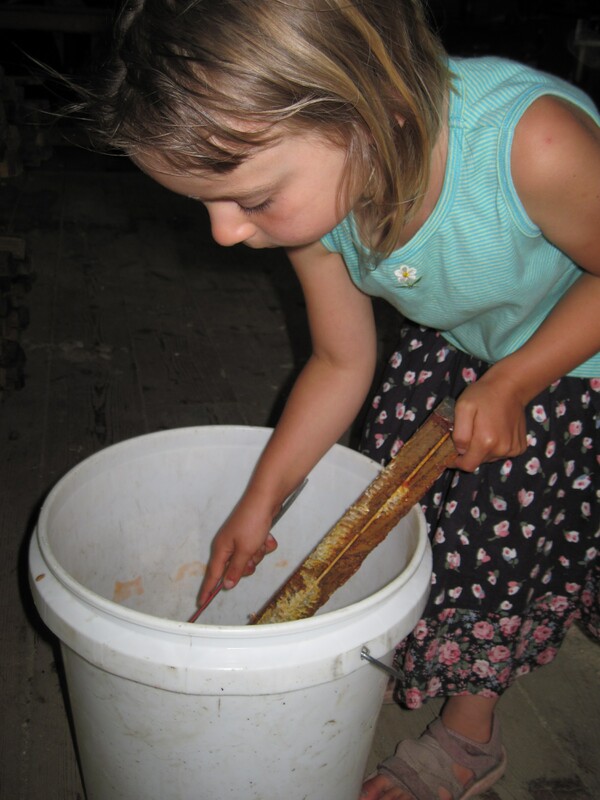 Now what will you do with your propolis? I love to use it for any type of sore throat, cough, rawness. Mixed with other herbs in a spray is great. Herbalist Matthew Wood calls “it a specific for mold or dust allergy” and I can attest to that-it is something that helped me personally support condition. I spray it on externally for promoting healing of all types of wounds. Propolis has some antibacterial and antifungal properties and stimulates white blood cells to do their job. It also goes into any mouth rinse i make for supporting teeth and gums. If you love propolis don’t forget to thank a natural beekeeper, thank an organic farmer or gardener, thank a medicine maker and most importantly, thank the honeybees! Next what is a polyculture? Not to forget, as cabinets homeowners are often taken in by all of the hardware of the doors.